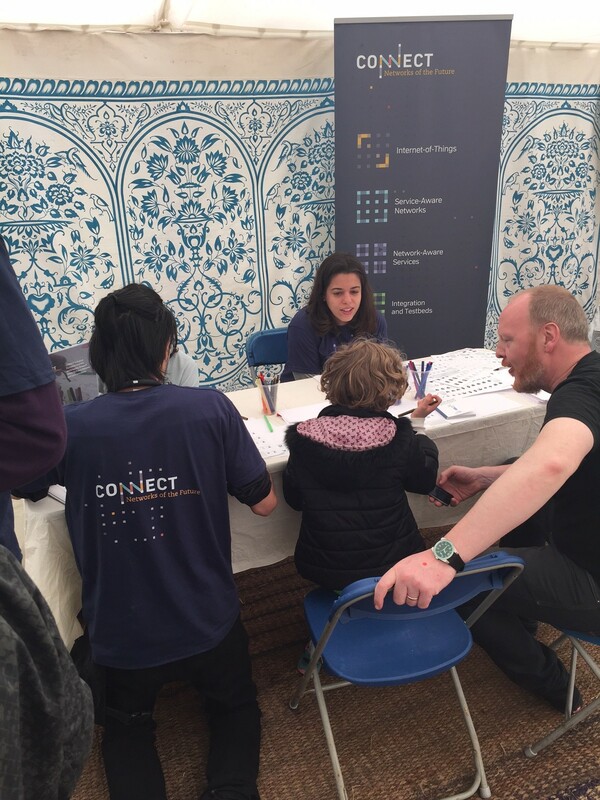 Connect volunteers at Inspirefest Family Fringe Festival in Merrion Square, Dublin. 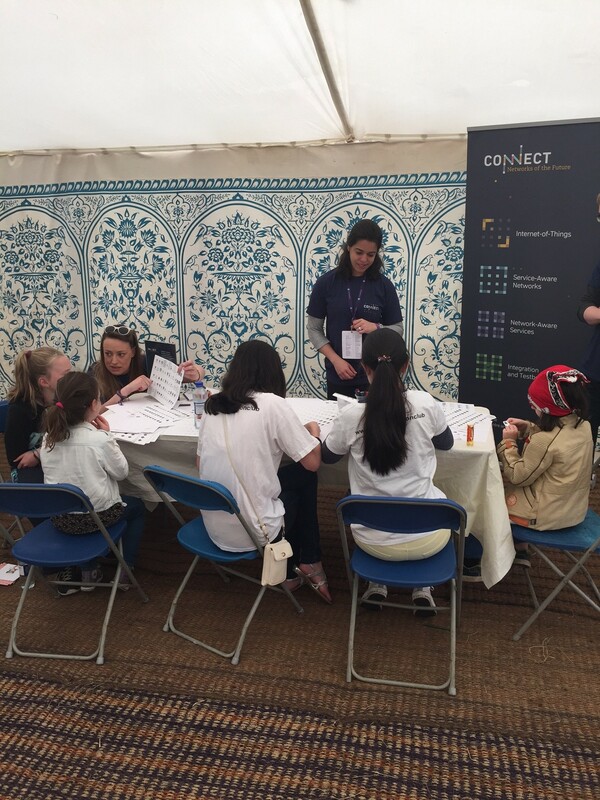 “Imagine the Internet-of-Things” was the title of the Connect workshop at Saturday’s Inspirefest Family Fringe Festival at Merrion Square in Dublin’s city centre. 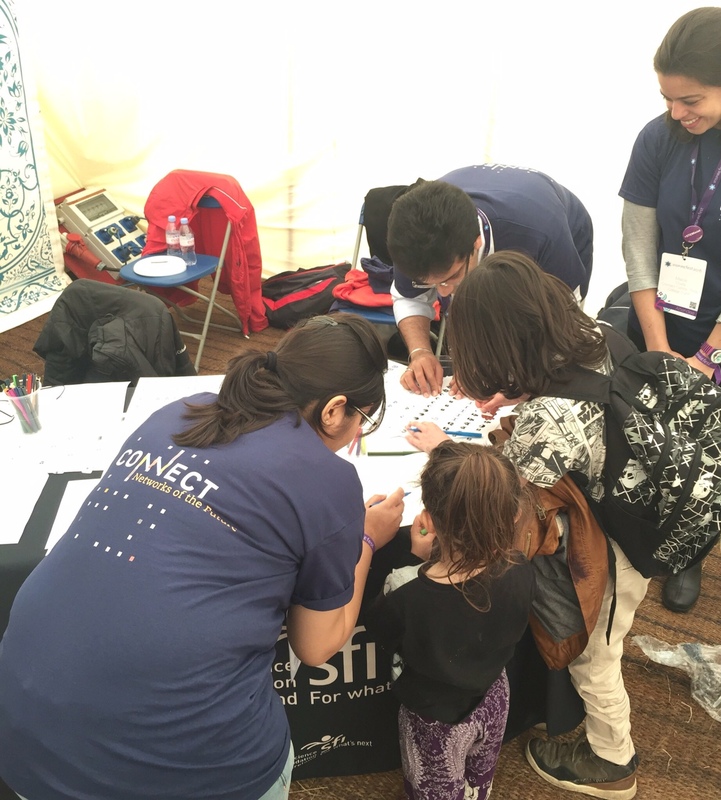 With the aid of a spinning wheel, stickers and, most importantly, imagination, Connect volunteers helped children to understand some of the components of an Internet-of-Things network: sensors, actuators, base stations, cloud, data, wireless, etc. Children were invited to select a particular IoT scenario (farm, city, classroom, house, Star Wars) by spinning a novelty wheel before imagining a suitable IoT solution to match that environment. Connect was a Silver Sponsor of this year’s festival. In addition, our Centre Director, Professor Linda Doyle chaired a panel discussion on ‘STEAM – The Convergence of Tech and the Arts‘ with Nora Ó Murchú, Noel Murphy and Zoe Philpott. 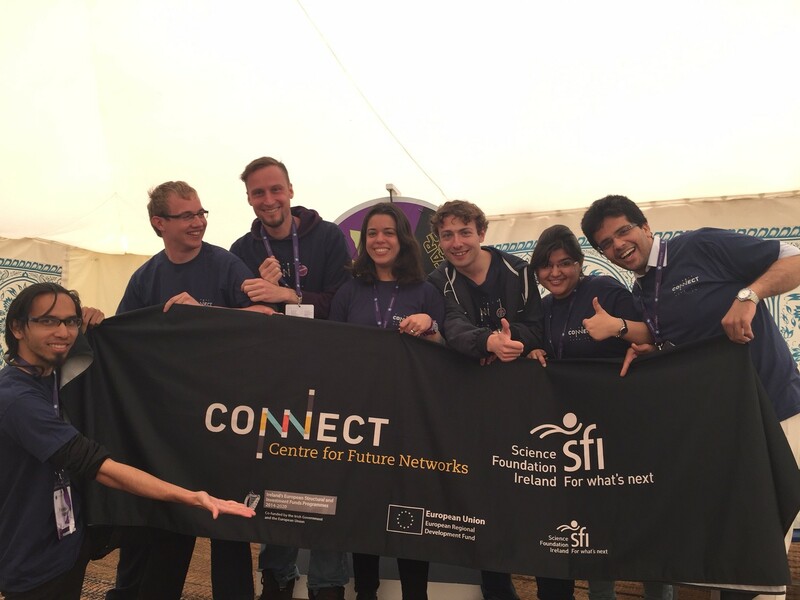 More than twenty Connect researchers from several Higher Education Institutes participated in the event. 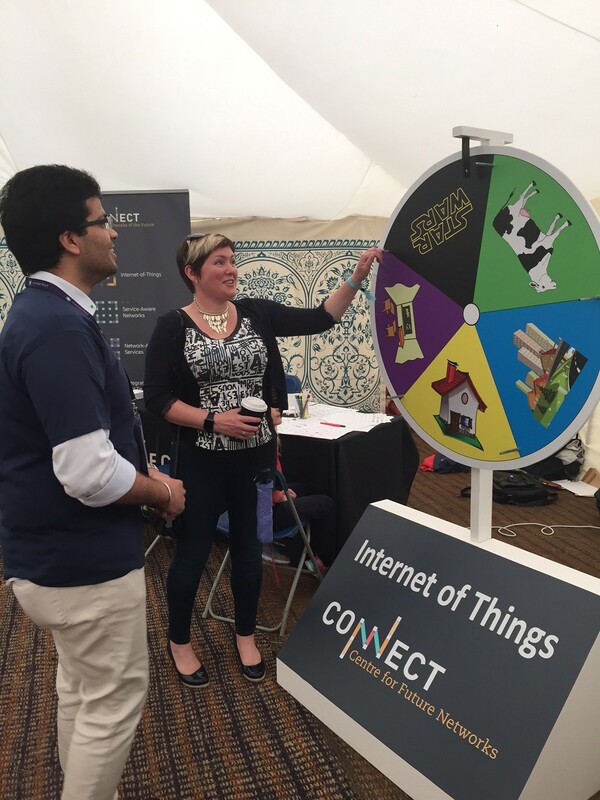 Claire O'Connell spins the Internet-of-Things wheel at Inspirefest. Maice and Fadhil help sketch a farm-based Internet of Things scenario. Busy Imagining! 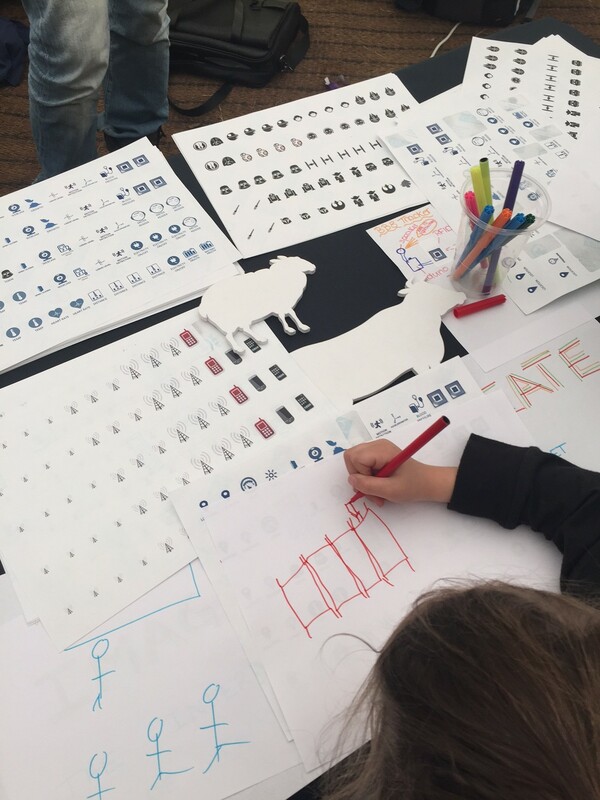 Several children sketch their Internet-of-Things networks. Mohit and Nikita help sketch an IoT scenario.